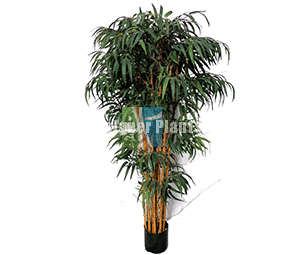 This bushy artificial ficus tree measures 1.2m and have 840 two tone leaves on a natural trunk. 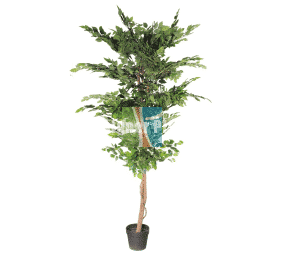 This bushy artificial ficus tree measures 1.2m high and has 840 two-tone leaves on a natural trunk. The fake ficus tree is the perfect reflection of how a ficus tree would grow it not pruned into a topiary.